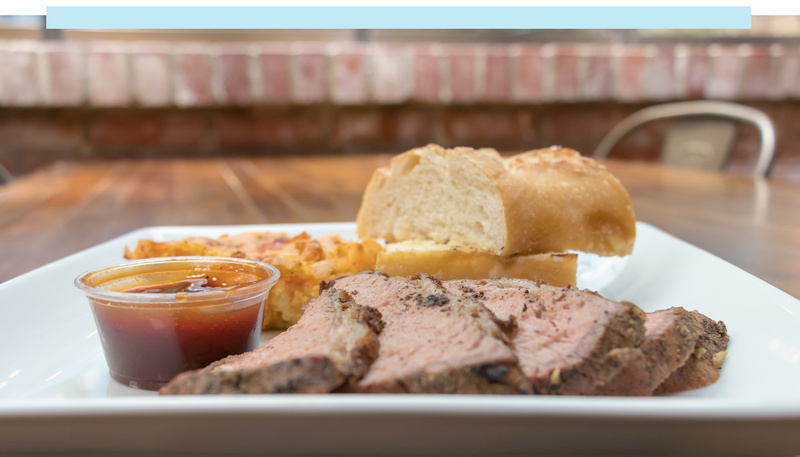 Hand-trimmed certified Angus tri-tip, perfectly seasoned and grilled over a red oak pit. 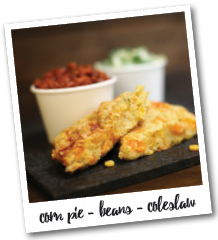 Served on locally made artisan sourdough or French roll with homemade salsa or BBQ sauce. Served with garlic bread and your choice of another side. Thinly sliced grilled chicken breast topped with sauteéd red onion and melted jack cheese. 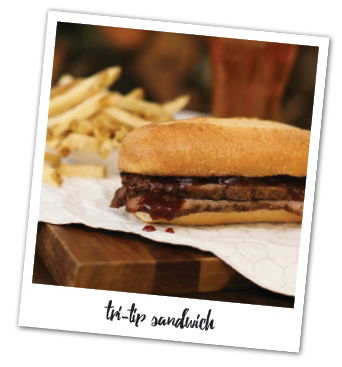 Served on ciabatta bread with our homemade salsa, BBQ, or cilantro lime creme sauce. Slow-roasted pork shoulder served on a locally made ciabatta roll with our homemade cilantro garlic BBQ sauce. A locally made Portuguese style sausage grilled and served on an artisan French roll with sautéed peppers and onions. Served on a mini sourdough roll with your choice of sauce. Locally farmed mixed greens, red onions, peppers, crumbled blue cheese, bacon and hard-boiled eggs. Served with housemade ranch, blue cheese, or roasted garlic vinaigrette dressing. 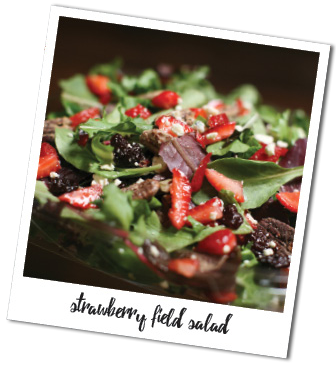 Locally farmed mixed greens topped with crumbled Gorgonzola cheese, fresh strawberries, candied pecans, and dried cherries. Served with blush wine vinaigrette dressing. Coke, Diet Coke, Sprite, Root Bear, Iced Tea, Dr. Pepper, or Orange Fanta. Fresh-cut potatoes with sea salt. A savory family recipe with diced jalapeños and cheddar cheese. Locally farmed pinquito beans prepared ranch style with bacon, ham, and spices. 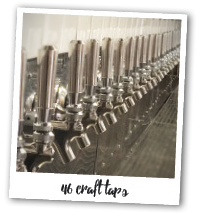 Pour your own beer or wine from our 46 craft taps featuring pay-by-the-ounce technology. Try a sample or pour a glass of your favorite, its up to you!